Soccer Injury Prevention: A free workshop for coaches, physical therapists, and athletic trainers. Learn how to use the FIFA 11+ to reduce injury risk in your soccer players. For coaches, athletic trainers or physical therapists. This free workshop is open to soccer coaches and to certified athletic trainers or physical therapists who work with soccer players. ACL injuries are an epidemic in healthcare (see our ACL blog here if you missed the free class). 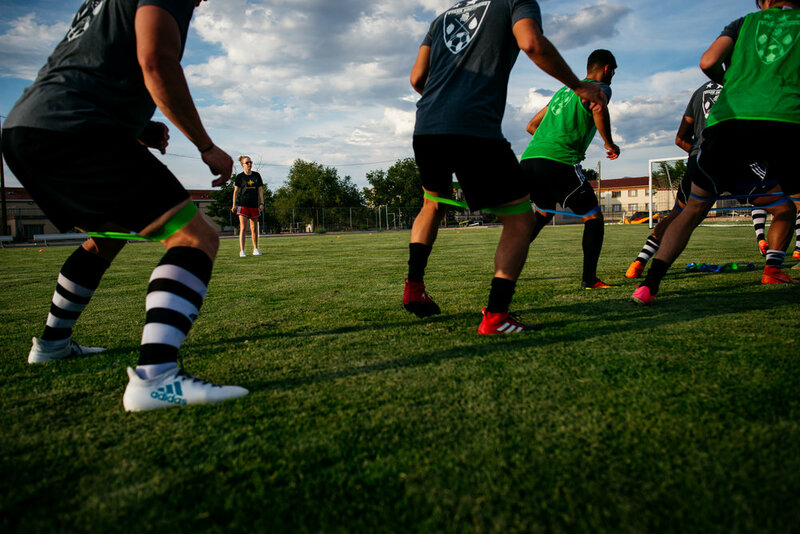 Soccer is the sport with the most frequent contact and non-contact ACL injuries, and we have some ways to change that! Julie Holt, athletic trainer at Langford Sports & Physical Therapy will teach about the FIFA 11+, an injury-prevention warm-up that helps prevent non-contact ACL injuries in soccer players. You’ll get to learn briefly about ACL injury in soccer, and how to use the FIFA-11+ with your players and clients in order to reduce injury risk.